The stony path towards artistic freedom which led through the thicket of the Soviet dictatorship appeared to have become somewhat smoother for Shostakovich with this recording. It was something of a small sensation that a recording team from the West was permitted to travel to Moscow to tape and thus preserve music by a contemporary composer for the western market. And that the Mercury team brought back a recording (along with other tapes) that would stand on an exalted platform even in times of a political thaw is a stroke of luck. 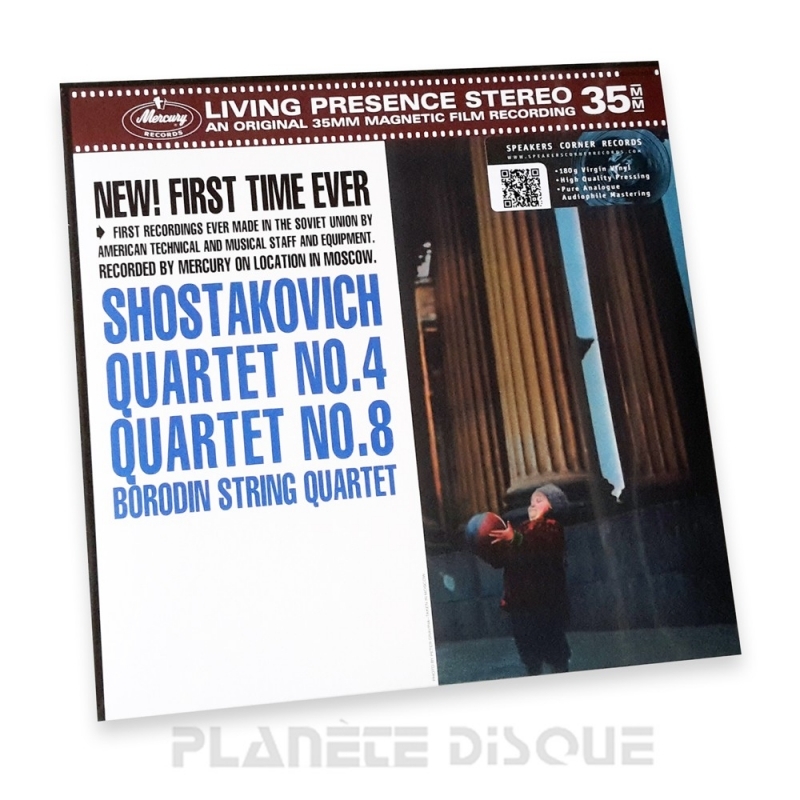 The Borodin String Quartet approaches Shostakovich’s modernistic, personal style methodically and with great expression, bedded as it is in romantic musical tradition. Although it isn’t done to draw attention to the performance of one player over the remaining three, one really must mention the cellist Berlinski who plays his part in the Quartet No. 4 with breathtaking cantabile and assurance.The Quartet No. 8 is special for a quite different reason: Shostakovich dedicated this piece to himself as a sort of personal requiem by working his initials DSCH (D, E flat, C, B natural in German notation) into the score and also included numerous citations from earlier works such as the First Symphony and Clarinet Trio op. 67. In this way both the music and the recording guarantee a very personal confrontation with the composer.